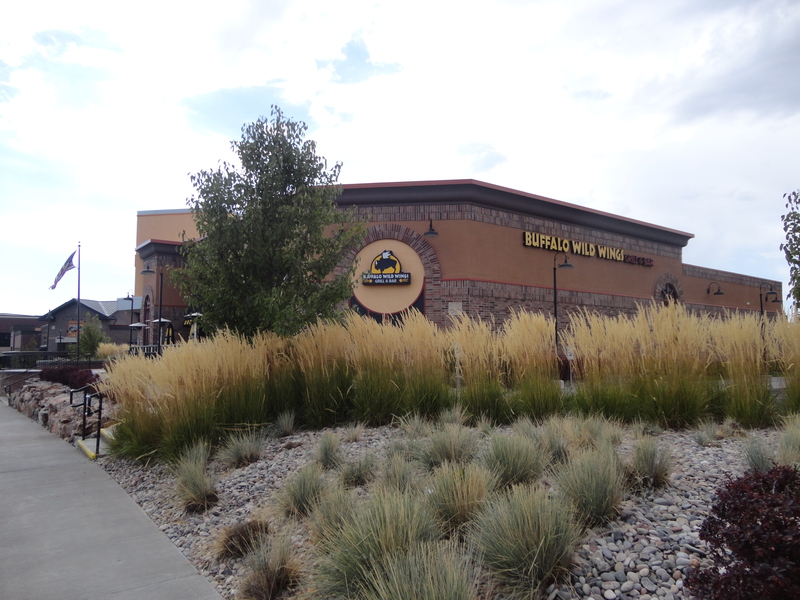 Along the west bank of the Snake River and tucked within the Snake River Landing, this nation-wide chain hangout, Buffalo Wild Wings, beckons teenagers, singles, couples, and families. 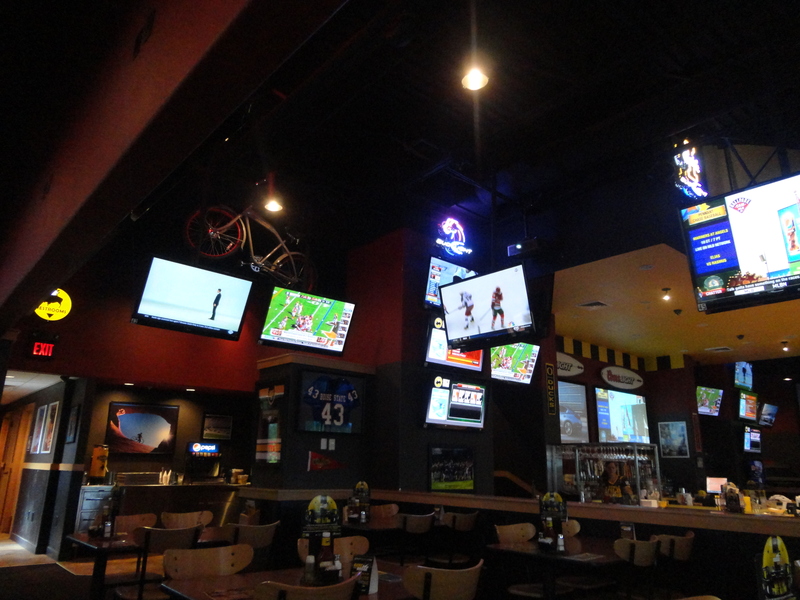 They seriously demonstrate their motto of “Wings, Beer, and Sports” with 22 signature sauces and seasonings for chicken wings, a central pub in the middle of the restaurant, and 59 screens (a few being massive projection) on the walls for sports viewing. The outside is attractive. Walking past the waterfalls and golden stalks, I noticed the lawns to be well groomed and bordered with rock. Inside, Skyline jerseys, Idaho State shirts, and Chuckars‘ uniforms, etc. plastered the walls. There were pennants, pictures of sports championships, historical Idaho Falls scenes, and Norman Rockwell basketball (my favorite). Even a bicycle hung above the flatscreens. Wearing a bright smile and a BDubs #82 jersey, Ebony led the way to a comfortable booth. After sampling sauces from the mild to the wild (Mango Habanero is hot), I settled on Ebony’s recommendation, “Asian Zing,” for spicing up our Tuesday $.65-a-piece wings. Not bad. A side order of Ranch gives an extra zest. Bathroom break. I give the bathroom an A: (1) clean, good smell, (2) not a scrap on the floor, (3) black and yellow border tile, and (4) efficient, automatic flush/sinks/paper dispensers. And guess what? They have a HD flat screen in the bathroom so that you do not miss one bit of your fantasy football. I kid you not. Friendly service. Good wings. 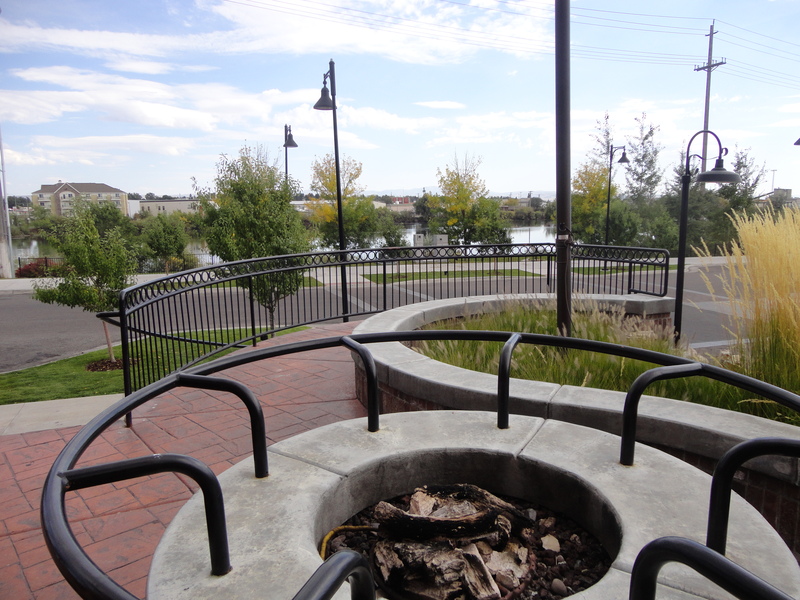 Nice, outside view with the river across the street. Back in 1982, Jim Disbrow and Scott Lowery really got on to something. This entry was posted in reviews and tagged Buffalo Wild Wings. Bookmark the permalink.